Carl Greenidge believes that the weaknesses of the Guyana Police Force, the Chambers of the Director of Public Prosecutions (DPP) and the Auditor General’s office are key contributors. In a recent interview on the Culture of Corruption in Guyana, Greenidge said that it is unfortunate that the country once again scored poorly on the Transparency International Corruption Index. He said that given the “rank state of corruption in Guyana” it is something he actually expected. He said, too that it will take time to effectively address. The 2015 report on Corruption Perceptions Index was released last week by Transparency International. It shows that despite much talk by nations to fight corruption, countries including Guyana have shown little sign of improvement. Guyana received a score of 29, signaling a slip of one place down from its score last year. But Guyana did improve in ranking. In 2014 it was ranked 124 out of 175 countries but in 2015 it moved up to 119 out of 168 countries. The report said that any score below 50 indicates a serious corruption problem. Guyana has never been above 50. Transparency International is an organization that works together with Governments, businesses and citizens to stop the abuse of power, bribery and secret deals. 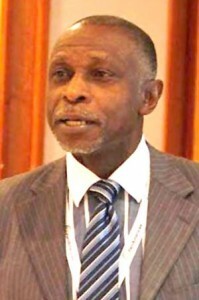 Greenidge said that while many may think that the problem lies in the failure of Governments to implement rules or laws, he said that it is more than this. Greenidge said the failure of the past regime to not deal with the weaknesses of the Guyana Police Force and the Chambers of the Director of Public Prosecutions as well as the Auditor General’s Office (AG) have contributed significantly to the corruption culture. He said, “Fraud, for example, was being carried out for a long time. What you found with outgoing politicians is that they could have, and they often do, planted people in key institutions such as the Courts so that they can have a direct control on certain aspects of the system. The Foreign Affairs Minister said that no effort has been made to root these out by the past administration. The report by Transparency International emphasized that Governments must tackle political corruption. It said that Governments must also seek the reform of the financial sector. It said that the fight against corruption be properly effected until laws and regulations are put into action and civil society and the media are genuinely free. The corruption watchdog noted that arrests of officials guilty of corruption aren’t enough. However welcomed, it said that prosecuting existing politicians won’t stop new corrupt individuals from getting rich at the expense of citizens. It said that many countries low down the index have ample natural resources. The report said, too, that Governments need to ensure real and systemic reform – starting with freeing judiciaries from political influence and creating better regional cooperation between law enforcement to stop the corrupt hiding in different jurisdictions. The international body said that last year’s poor results demand that leaders revisit the genuineness of their efforts and propel the region beyond stagnation. The anticorruption advocate emphasized that prosecuting corruption will restore faith among people who no longer believe in the institutions that are supposed to protect them. It said that transparency and accountability must go hand in hand when tackling corruption.